Each year Black Friday deals get better and better, this year is no exception with deals starting now and stretching into next week. My inbox has been heaving with codes and discount from so many brands. Now is a great time to start your Christmas shopping if you haven’t already, retailers offer bigger discounts at this time of year as they anticipate more sales being made today and over the course of the week. TOPSHOP — Get up to 50% off and free shipping. J.Crew — Take 30% off everything with code GOSHOP. Nike — Take an extra 25% off sale styles with code EPIC25. Intermix — Get 40% off select full-priced styles. SHEIN – Buy one get one 99% off. FARFETCH — Up to 50% off. URBAN OUTFITTERS — Buy one, get one 50% off. BOOHOO — 50% off everything. LUISAVIAROMA — 20% off with the code BFSUS17. MACY’S — Take 20% off Black Friday with code HURRY. NET-A-PORTER — Up to 50% off with new styles. NORDSTROM: Take an extra 20% off select sale items. 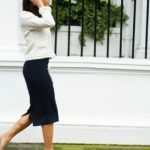 OUTNET – Extra 10% off new arrivals with the code FRIYAY. REVOLVE — Up to 50% off sale styles. SAKS – Up to 60% off use code BLKFRI17. SHOPBOP — Up to 75% off sale items and 30% off full-priced styles with code MORE17. SSENSE — Up to 50% off. YOOX — Up to an 60% off. Hawes and Curtis – Up to 50% off online. I love this polka dot shirt.